whether you're jumping dunes in the mojave desert or just wanna look cute on your drive to the beach, you could hardly want for a vehicle more suited to such disparate duties than the jeep wrangler. with an allure that attracts diehards yet extends well beyond enthusiast enclaves, this iconic suv can be equally appreciated off-road or on the town — so it's little surprise that a full five months after publication, our 2018 jeep wrangler review sits atop our list of the week's most popular expert reviews. of the redesigned-for-2018 wrangler "jl," reviewer aaron bragman says, "despite the average $3,120 price increase depending on trim level, the new jeep wrangler's refinements and newfound user-friendliness are still set to make it as popular as ever. 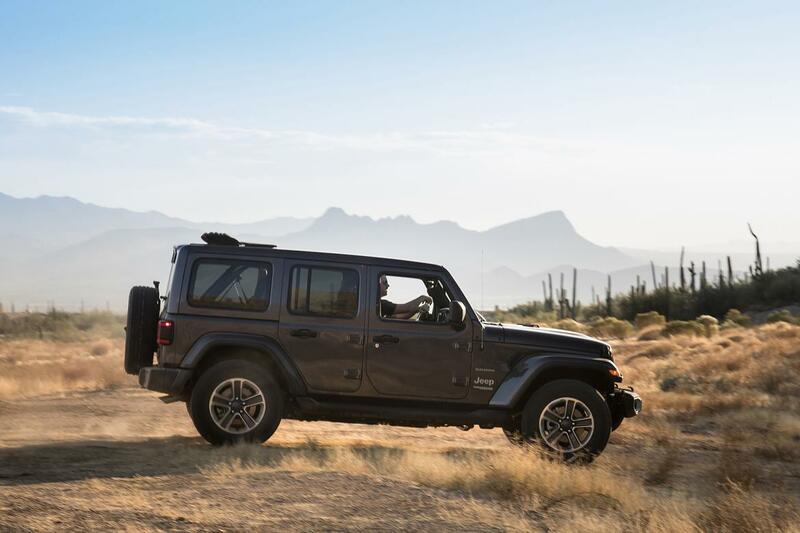 add the new powertrains, expected improved fuel efficiency, more top options, refined interior appointments and more civilized daily-driver suitability, and the new jl wrangler looks set to keep its iconic status — and huge customer demand." meanwhile, bragman also gives you the full rundown on the all-new-for-2018 hyundai kona small suv in our most watched video of the week.